In the field of music, Joe Mantegna has rocked with the best in the band called 'The Apocryphals' where he and the band once opened for Neil Diamond. With over 200 credits to his name, one can get lost in Joe Mantegna's work. With fans around the world, the many who know and love his artistry have come to know and expect a certain quality, skill, and aesthetic with which he lends to a creation. 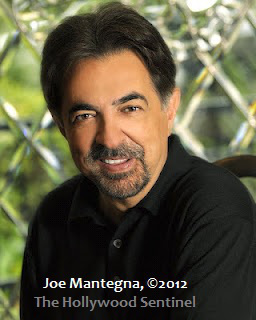 One can safely look at a show and say, 'Well, it's got Joe Mantegna in it. It's got to be pretty good and worth seeing.' And so it is. It was my great pleasure to conduct an exclusive interview with the legend himself—Joe Mantegna, here below. Joe Mantegna and Michael O'Kelly joined forces to honor Ray Bradbury with a ninety minute groundbreaking documentary, 'Live Forever, The Ray Bradbury Odyssey.' The films was authorized and planned by Ray Bradbury himself. 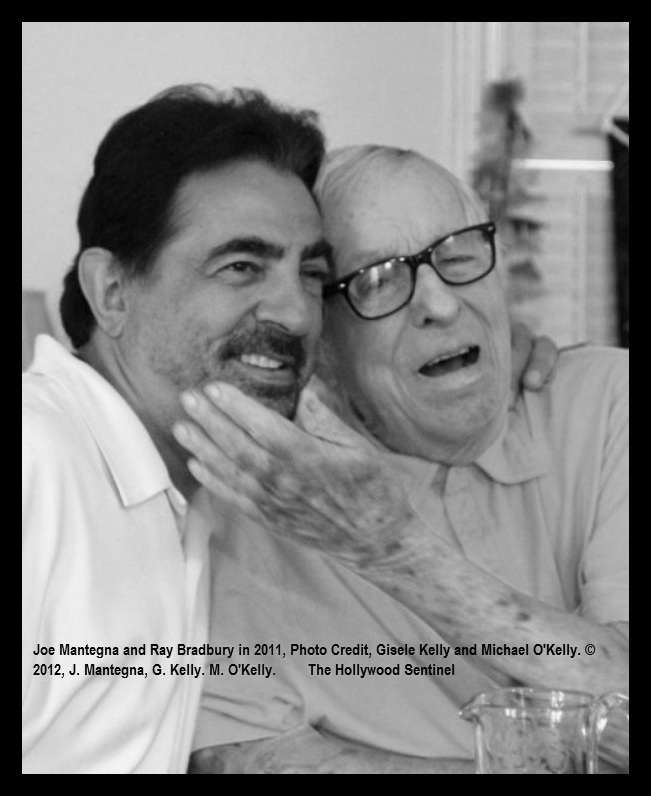 Joe Mantegna's company Acquaviva Productions signed on as co-producer, writer, and director with Michael O'Kelly's, 'Live Forever,' the documentary tribute to an American icon and one of the most beloved authors of the 20th and 21st centuries. Joe Mantegna's friendship with Ray Bradbury began with the play that would eventually become the 1998 film 'The Wonderful Ice Cream Suit.' Serving with his producing partner Danny Ramm as co-producer, Joe Mantegna will also narrate the film documentary. Over the course of 2011, Ray Bradbury became ill and was occasionally bedridden. Yet despite his fragile condition, Ray wanted to continue and push on with the making of the film, right up to his passing—which he did. The results of that work are this film, which is humorous, moving and inspirational. The story, which begins in 1920, is embellished with original animation and special effects. Utilizing interviews, intimate conversations, rare footage, and special animation, 'Live Forever, The Ray Bradbury Odyssey' takes fans on a journey from Ray Bradbury's birth, through the great depression, into the late 1930's and 1940's—the golden age of Fantasy and Science Fiction. The fascinating film for all generations also explores Ray Bradbury through the McCarthy trials, following Ray Bradbury's and Hugh Hefner's fight against censorship, Ray's involvement with both Walt Disney and Roy Disney, and even concerning the writer's views concerning space, the future of mankind and death itself. 'Live Forever, The Ray Bradbury Odyssey' has its greatness even further enhanced by the participation of the late Roy Disney, Edward James Olmos, Malcolm McDowell, Hugh Hefner, Jean-Michel Cousteau, Dennis Franz, Clifton Collins, thirteen year old actor Zachary Meade, and many others who loved Ray and wanted to pay tribute to this literary legend. Ray was passionate about the project and provided intimate access for over three years. The ninety minute theatrical release is set for a Christmas 2012 release. Eventually 'Live Forever' will be produced in a four hour-long, expanded series for television. Bruce Edwin: How did you get started working with Ray Bradbury? Bruce Edwin: What was it like growing up in Chicago and the theatre scene and The Goodman and all that? Joe Mantegna: It was really a great time to be there, because it was really like the formative years, it was kind of like New York was in the 40's and 50's, the underground kind of theatre, the off Broadway kind of theatre, where a lot of the new writers and new directors came out of (...) (in) Chicago at that time in the late 60's and early 70's, you had all these (places), you had The Organic theatre, there was a new group of young people called Steppenwolf, you had (...) Remains Theatre Company which had William Peterson and Gary Cole, and D.W. Moffett, and of course you had Second City that was already well established, so there was a lot of energy, and the play 'Grease' came out of Chicago, (by) Jim Jacobs and Warren Casey—two writers in Chicago (who) created the play 'Grease.' Initially it was a midnight show, you know at this little theatre on Lincoln Avenue. At one time it was the longest running Broadway play in history. Bruce Edwin: Is that the theatre where the gangster John Dillinger was reportedly shot? Joe Mantegna: (...) Yeah, but The Biograph is where Dillinger was shot on that same street on Lincoln Avenue. So, it was a great time to be involved in the theater scene in Chicago, which ultimately became a breeding ground for a lot of people who went on to do a lot of great things. Bruce Edwin: That's great. Chicago is known as kind of a hotbed for revolutionary activism—like right now I am thinking about the late 60's in Grant Park. Did you see much of that or were you involved in much of that at the time? 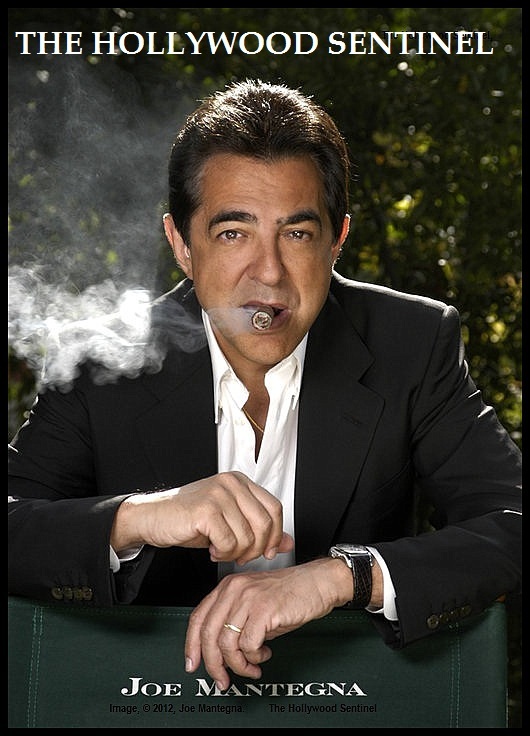 Joe Mantegna: You talkin' about the political kind of stuff? Joe Mantegna: (...) and I remember we'd come home from these gigs late at night, and there'd be tear gas smoke in the air, and things like that, and I'd get occasionally stopped by the police during that week because I had very long hair, like a lot of bands guys did, and they would pull over anybody that even looked like they might belong to the counterculture—that kind of person—they wanted to make sure there weren't 'outside entities' coming in (...) it was kind of an intense time but I wound up doing the play 'Hair' in 1969, later, as an actor—that was my first professional job, I mean I was more of a performer and an actor. But on the political side, to this day I'm an independent. Joe Mantegna: I don't trust everybody, so I go my own way. Joe Mantegna: When I was there, they hadn't become a part of DePaul yet. That was a few years later. I was at the Goodman—let's see, in 1967 through 69, when I did the play 'Hair,' it became a part of DePaul a few years later. Bruce Edwin: I see, and were they teaching what would be considered to be the Stanislavski system or method acting or what? Joe Mantegna: Yeah, it wasn't so much strictly one thing, it wasn't like it was method per so, or talking about Stanislavski, but they would do more specific kinds of things like; there was vocal training (...) they embraced some kind of specific studies, but for the most part it was just a general kind of scene studies and movement, and dance, and history, all different aspects of the theatre. It was pretty much a classically oriented kind of school (...) then what you learned from there, you'd apply to other areas depending on where your career took you. Bruce Edwin: Good. Do you think you could have gotten where you did without your training? Joe Mantegna: I don't know, but I don't look back on it as having wasted time. There are different schools of opinion about that, but if nothing else, it gave me a venue to do these things, you know, to take years out there and apply myself, and to have the opportunity to do plays and work with other actors, and create friendships that I have to this day, so I think that some of the things I learned actually did help me be successful. Joe Mantegna: Part of it is like I said, the first thing I did right out of school, I would actually have done in my third year, and it was a three year program. 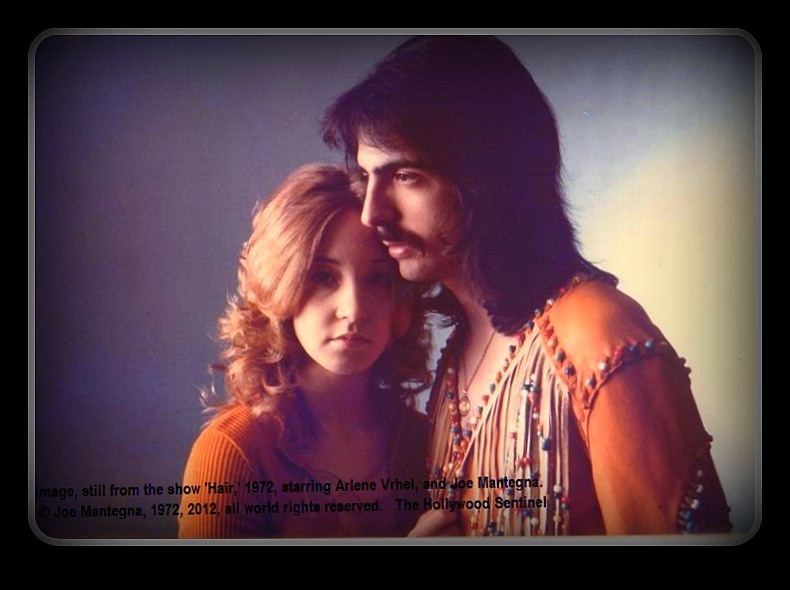 The only reason I didn't (do the third year) is that I was cast in the play 'Hair' in 1969, so I was in a Broadway musical doing eight performances a week, and the way it worked out, I ended up doing that play for over a year and a half. I think that without the training I did have, I may not have become as disciplined and prepared to know what it takes to sustain (what I did), so I think that was kind of worthwhile. Bruce Edwin: Good. That was the same with my college experience, it was worth it to me. Now, a lot of people going in to the creative industry are like, you know, it's a nice hobby, but you need to get a real job! Did you deal with that opposition at all? Joe Mantegna: ...There was nothing to gauge it against, it was not part of the world I grew up in, so I guess the feeling was you know, 'well, as long as he doesn't hurt himself, this doesn't seem like a really dangerous kind of pursuit.' You know, they didn't really comment about it. I had no plan B, so I just kind of basically pursued it you know? So it just kind of worked it self out in a way. Bruce Edwin: I guess there can be a fine line of that being healthy, because it can create a sense of humility and being humble, but obviously you want to have some security. For readers that don't go to the stage of theatre—and I suggest you do—the Tony Award is kind of comparable to the Oscar for stage. Joe won that for Glengarry Glen Ross. I remember when that came out, it got huge press and recognition deservedly so. You have done a lot of work not only in stage and film, but also in television. Is there one medium that you prefer working in more than the other? Bruce Edwin: Sure. Do you ever get so called stage fright? Bruce Edwin: That makes sense. In the entertainment industry, some people are very outspoken about their political or religious views, I read that you were raised Catholic, is that something that you still adhere to? It sets me off a little if someone tells me, 'well, you're way is wrong and my way is right,' or 'their way is wrong and our way is right.' Either they're all wrong, or—like six had it, and the other fifteen didn't, no, that's not gonna be the way it works—I don't think. So that would be, if you had to label that, I don't know. Bruce Edwin: That's cool, I didn't know that about you, but I respect that, that makes a lot of sense. You mentioned that you are independent in terms of political affiliation. Can you explain that a little bit please? To be continued in the next issue of The Hollywood Sentinel. This story, images and contents are © 2012, The Hollywood Sentinel and Bruce Edwin, all world rights reserved. No part of this story or images may be reproduced in whole or in part without express prior written permission from the publisher at The Hollywood Sentinel. The Hollywood Sentinel and affiliates do not endorse any advertising or commercials that may appear on this page.